At the foot of the Prealpi Trevigiane, where the hills dive into the waters of the Piave River, the small village of Saccol of Valdobbiadene emerges from the well-cared vineyards. This is where we have our land, caressed by the wind and bathed in sunshine, and it is from here that we get our grapes. At the first signs of autumn, when the grapes have reached maturity, we begin to harvest them. This is an intense and febrile period, because we want to reach “perfection”. Tradition, technology and knowledge find their proper application in the Prosecco of Valdobbiadene making. Respect for the raw materials and the speed of the technological processes lead to the creation of a delicate and elegant wine. “Prosecco nectar”, a precious, matchless pearl among sparkling wines, originates where nature is kind, where the sun and the pleasant climate meet the poor land of the sun-kissed hills. 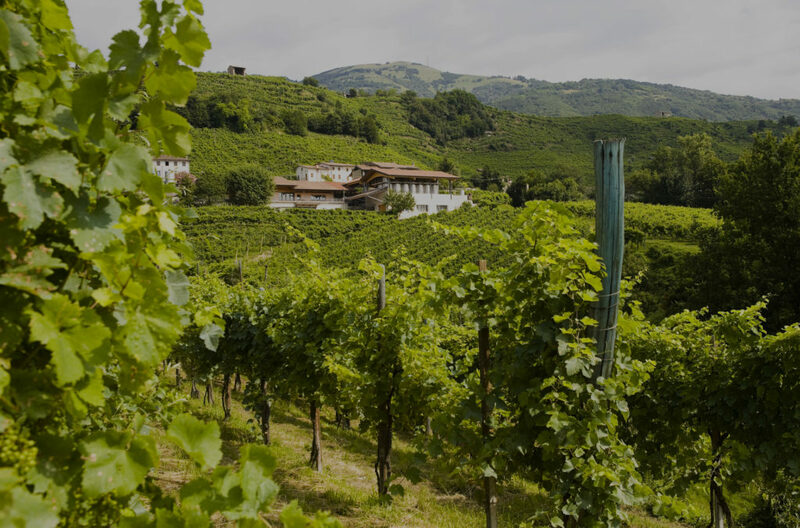 This native wine, which has been cultivated on the hillsides of Conegliano and Valdobbiadene since 1800, is probably connected to “Pucino” a wine both known and appreciated as far as Roman times. The Prosecco Wine, a sturdy, vigorous plant, has large, brilliant green leaves which turn yellow gold in autumn. It is never the same, as it changes its appearance according to the terrain it is in; the wine-dressers distinguish it in “round”, “long”, “kind” and “Balbi”, from the name of its first admirer and selector, the noble Venetian, Balbi Valier. The D.O.C.G. 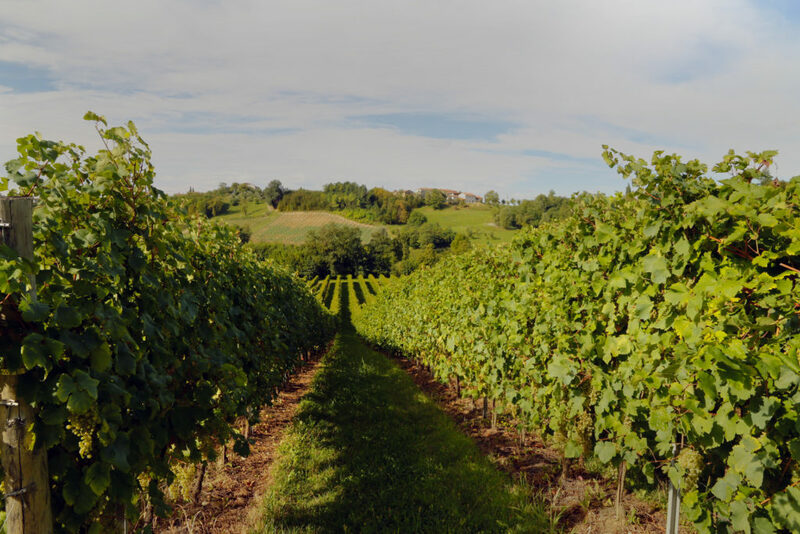 production area is confined to a 50 kilometer strip of foothills, almost 20.000 hectares of vineyards dedicated to Prosecco of Conegliano-Valdobbiadene. Three types of wine are made: still, semi sparkling and sparkling, to satisfy the tastes of different palates. But Prosecco’s most precious jewel is the wine which comes from the Cartizze locality, a small handkerchief of land of about 106 hectares between Santo Stefano, San Pietro di Barbozza and Saccol of Valdobbiadene. This is the esteemed “Superiore di Cartizze”. The singular exposure to the sun and the specific composition of the land of this “cru” give the grapes a particular excellence.